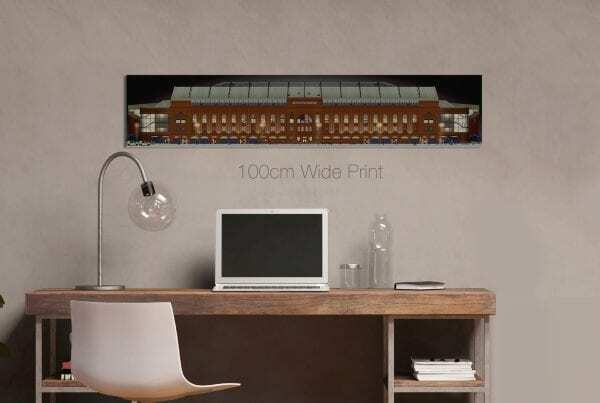 A highly detailed panoramic image of Glasgow Rangers historic main stand. 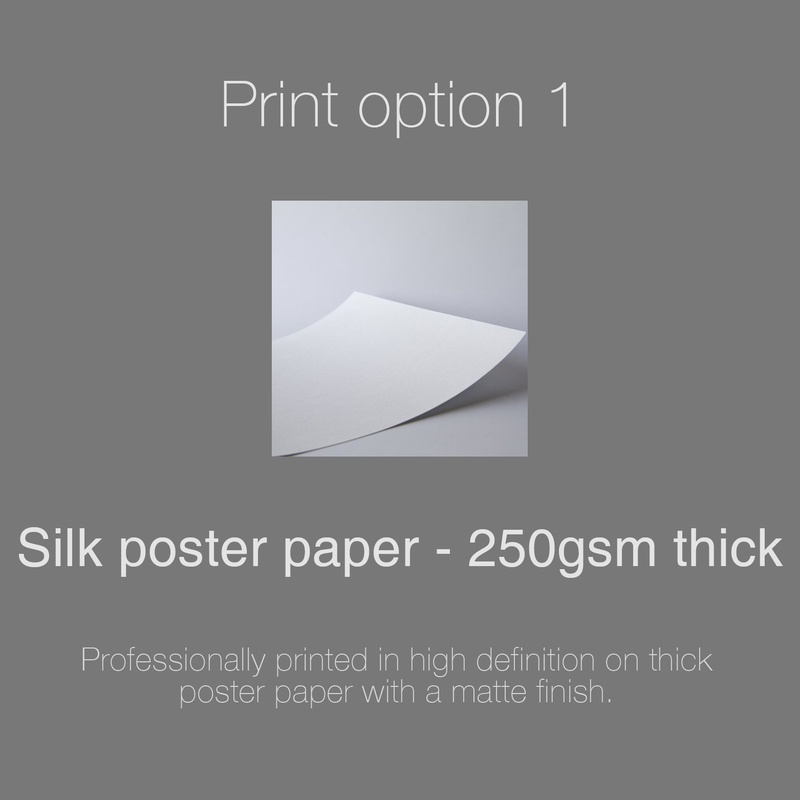 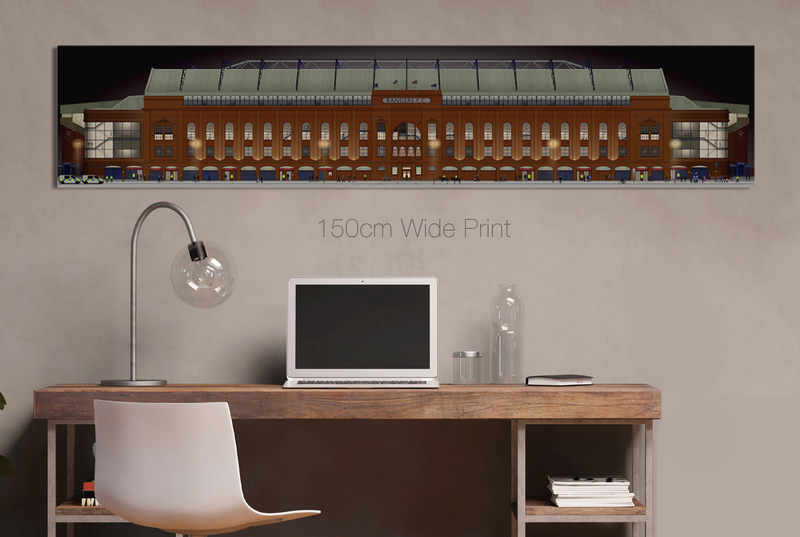 This really is a must have piece of art for Rangers fans which will look equally stunning in a home, office and business environments. The image captures the full length of Ibrox in the snow before an evening match. 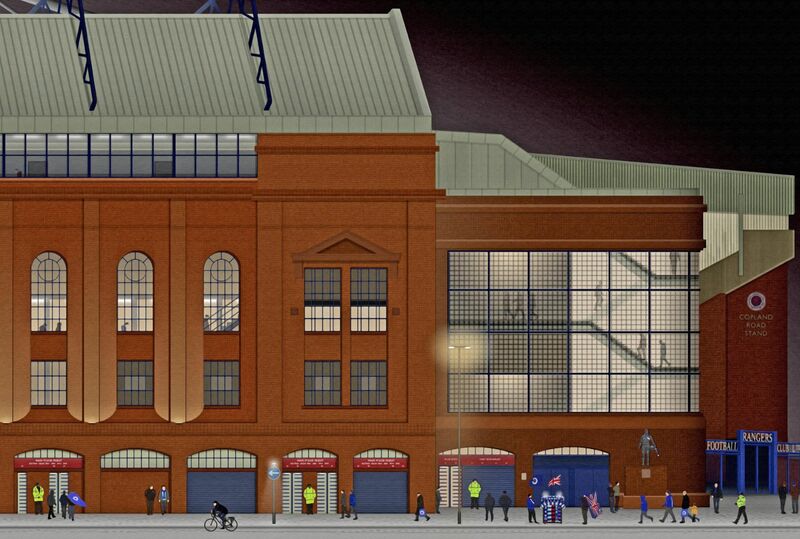 Dozens of photographs of this beautiful and iconic stadium were used in the making of the image in order to capture the typical pre-match experience outside the main stand.